How to download YouTube videos on iPhone through easy steps? you have subscribed to YouTube Rad. But, YouTube Red is a subscription-based service and not everyone would be willing to spend a fortune on watching the YouTube videos offline. That is precisely where you would find YouTube Video downloaders for iPhone or iPad. We will discuss a few methods on how to download YouTube videos on iPhone in today’s post. Well if you have iPhone or Ipad and want to download videos from Youtube then you are at right place. You allows you to only watch videos online and also you can save it offline. But you can’t download videos directly from youtube. That’s why we are going to tell you some of the best ways to download Youtube videos on your iPhone. 2 Is it legal to download YouTube Videos? Well, Apple has been cracking the whip on a host of apps that have been claiming to offer you free YouTube downloader for iPhone. However, it is quite possible to use YouTube download for iPhone if you are iOS 10 or 11. Here are a few options that can be helpful in achieving your task. The Documents 6 is an app that would be practical enough for YouTube Downloads on your iPhone. You can easily find it in your App store. The app is meant to be used as a file management app but can double up as YouTube downloader for iPhone. 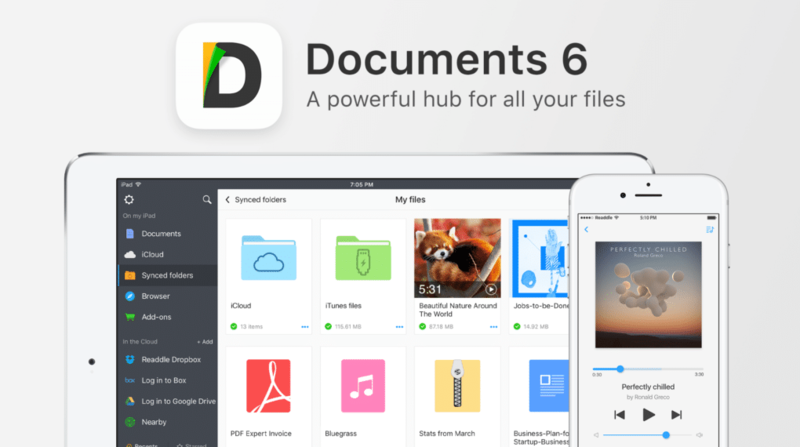 Documents 6 is available only in the UK App Store. So if you belong to another country then you have to another alternative to Documents 6 App. Follow the steps here below to use it as your YouTube downloader app for iPhone. Download and install Documents 6. At the bottom right, you should find an icon that resembles that of Safari. This will launch the web browser interface. Now, search for wavefront option or type in en.savefrom.net link. Keeping the interface open, go to YouTube and search for the video you would want to download. Tap on the video for additional options. Choose Share among the options. Next, come back to your browser and paste the link in the space provided. Now, tap on Done and the video would be downloaded. You may rename the video if you want to. That would conclude the procedure for downloading the YouTube Video on your device. This should be another great option for the YouTube video downloader for iPhone app if you want to. If you think the above method involves a lot of working on the task of copying and pasting, this can be your best method. The steps you need to go through are simple and easy to use. Please note that the tool is available on Windows and Mac. 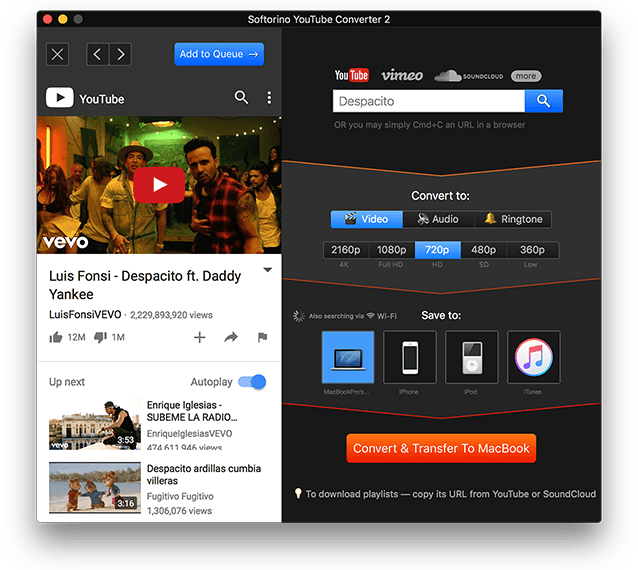 Softorino Youtube Converter has some awesome features like you can play the video, search the video, also you can download the Vimeo, SoundCloud and other platform videos and also you can download high-quality videos from there. Head over to a web browser and copy the URL for the YouTube video you would want to download. You can follow the steps as in the previous tutorial. The URL link would be automatically copied to the YouTube Converter. You may copy multiple videos and can build a batch if you so wish. Next, choose the quality of the videos you would download. Now, click on Convert and Transfer to iPhone. That would do it. Your videos will be downloaded and transferred to your iPhone. As an alternative, you may also use YouTubeByClick for the Only difference between the two YouTube video downloader for iPhone options we listed, the YouTubeByClick is completely free with an optional premium functionality, while for using Softorino, you would need to pay a hefty amount. If you want to know more about Youtube ByClick you can check out our post about YouTube ByClick. This can be the best YouTube downloader for iPhone for your needs. In fact, the options to download YouTube videos directly on the iPhone have been found to crash and stop working in the midst of your process. This is the one the best alternative available for downloading the Youtube videos on Your iPhone. Let’s see how you can use it to achieving it. Download FonePaw Video Converter Ultimate. Copy the YouTube URL from the video of your choice. The steps would remain similar to the ones you followed in the previous examples. Paste the URL in the FonePaw program and click on Analyse. The Video would be downloaded and saved on your PC. That should complete the task with ease. Well, downloading videos from YouTube may not be completely legal. In fact, the videos are covered under copyright and using them without the permission from the uploaders may involve copyright infringement issues. As per the terms of conditions of YouTube, the content available on it is meant for real-time consumption alone and not meant for downloads. You can download the videos from Youtube but you can use it for promotional activities and also you can’t upload it again on youtube because of some copyright issues. However, if you are downloading them for personal use, it may not have any serious legal repercussions. Avoid making use of them for financial benefits and thus you may not end up with it affecting you adversely. Once you download the videos, you can edit them to meet your needs using video editing tools of your choice There are not any serious issue to download the Youtube videos for personal use and entertainment. So, just feel free and take advantages of this software to download the Youtube Videos on Your iPhone. Well, you may have noticed that we have not opted for describing YouTube video downloader app for iPhone in this article. We have our own reasons. It is a well-known fact that major platforms around the world have been cracking down on the YouTube video downloaders. You cannot be sure which app can be a casualty during an ongoing action against the apps dealing with YouTube downloads. We assume that the tips featured here have been helpful enough to download your favorite YouTube videos on your iPhone. If you are using any of them, do share your thoughts, opinions, and experiences with the tool with our readers. If you are using any of the unconventional options for downloading YouTube videos on your iPhone, you may share them as well.